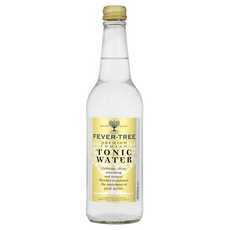 Enjoy Fever Tree Tonic Water. By Blending Subtle Botanical Flavors With Pure Spring Water And The Highest Quality Quinine, This Is A Natural Tonic With A Uniquely Refreshing Taste And Aroma. (Note: Description is informational only. Please refer to ingredients label on product prior to use and address any health questions to your Health Professional prior to use.